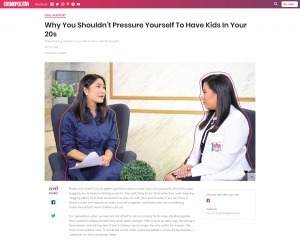 Not too long ago, human-interest stories or articles that surfaced on the internet and TV about a woman who has just given birth to four, five or even more babies were quite rare. These days, such stories have become more commonplace as there has been an increase in multiple births among pregnant women. This phenomenon of multiple births has folks wondering how the concept of multiple gestation is possible, and how to make it happen for themselves. Multiple births are common in women beyond 30 years of age. During this period of their lives, their fertility begins to decline, and symptoms such as anovulation, or the release of multiple ova becomes more likely. These days, since more women wait until they have established their careers before starting a family, the incidence of multiple births has risen naturally. One-third of cases of multiple gestation can be attributed to the mother having delayed childbearing until later in life, making this the most common contributing factor. There are several other natural factors that can increase a woman’s chance of having twins, triplets or even more. Heredity plays a big part, as a family history of multiple pregnancy increases her chances to have twins of her own. Women who have had previous pregnancies, whether or not any of those was a multiple pregnancy may also have a good chance to have multiple births in their next pregnancy. Race also plays a factor, as African-American women are more likely to have twins, and Caucasian women over 35 more frequently have multiple gestations of a higher order, such as triplets or more. Native Americans and women of Asian heritage have lower rates of multiple gestation, but it does happen. Reproductive technologies, especially pharmaceutical and medical treatments for infertility are contributing factors that can result in multiple births as well. Medications that stimulate ovulation such as clomiphene citrate and follicle stimulating hormone can result in multiple ova being released during ovulation. Assisted reproductive techniques such as in-vitro fertilization can contribute to multiple births, since they use ovulation-stimulating medications as well. Multiple ova are produced, harvested, fertilized and returned to the uterus to develop twins, triplets, or higher order births. For couple trying to conceive, multiple births are often regarded as desirable and exciting. However, there are increased risks for complications, especially for higher-order births. The most common complications include preterm labor, which is any labor that has an onset prior to 37 weeks of gestation. Other complications include hypertension, anemia, and miscarriage. Another complication, twin-to-twin transfusion syndrome occurs when one of the fetuses receives a disproportionate amount of blood supply and nutrition from the placenta as compared to the other. This disorder leads to a high infant mortality. Any pregnant woman whose uterus is disproportionately large for her age of gestation, or has increased morning sickness, excessive weight gain, or feels simultaneous movements of the fetus at different parts of her body, may suspect that she has twins. Upon checking in with her OB-GYN, the localization two separate fetal heartbeats would be a strong indication of multiple pregnancy. Of course, ultrasound testing and blood tests for hCG and alpha-fetoprotein would corroborate the diagnosis of multiple pregnancy and allow parents to prepare for not one, but two or more babies on the way. Women who have been diagnosed with multiple pregnancy would be advised to manage their pregnancy by increasing their nutritional intake, more prenatal visits, and increasing the amount of rest they get. Also, there are treatments for the fetus, such as corticosteroids for lung development, since most multiple births are also preterm.